Manage, share and collaborate with your team on all your activities and leads through one central toolbox. Managing your tasks and team meant having a boatload of sticky notes and being exceptionally organized. Today, the Customer Relationship Management (CRM) tool makes this a breeze. Bloomtools integrated CRM works seamlessly with your website to capture leads, organize tasks and activities around them, and increase your chances of getting the sale. Whether you need to better manage time, staff tasks, or organize the calendar, our CRM is the perfect complimentary tool for tracking activities and tasks. 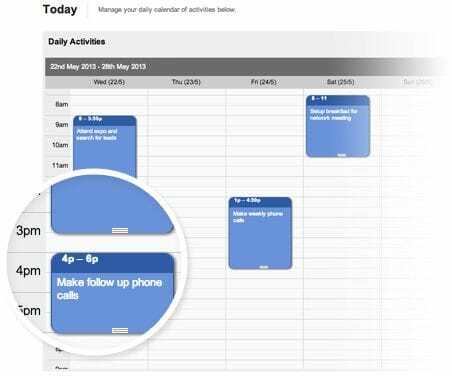 Better manage your tasks and calendar by creating entries that directly relate to the contact or lead you are working on. Share tasks and meetings with your team no matter where they are working. Bloomtools works seamlessly with Google Apps, making it easy to collaborate and share. 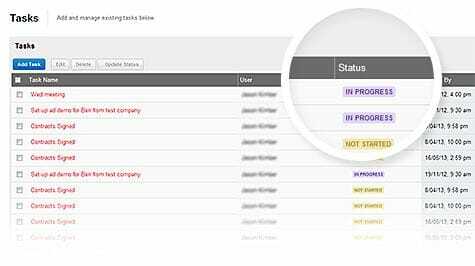 Whether it's your calendar or storing a copy of your emails to clients, Bloomtools and Google are tightly linked.